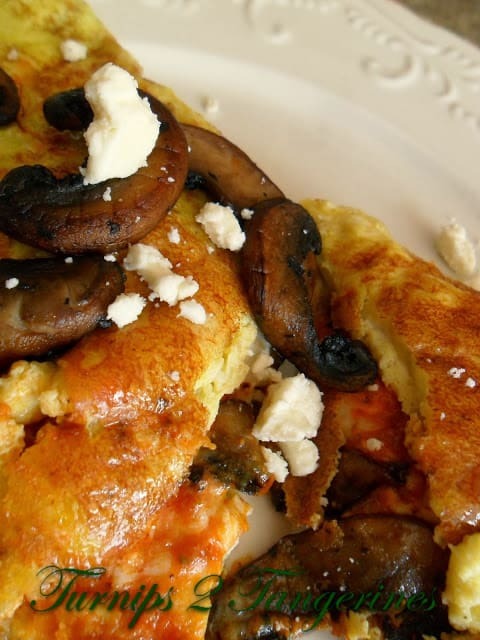 Sun-Dried Tomato, Mushroom and Goat Cheese Omelette is made with one of my all thyme favorite ingredients; sun-dried tomatoes. I absolutely love sun-dried tomatoes. The super rich, vibrant tomato flavor that sun-dried tomatoes add to a dish is something only they can offer. It’s rather odd but my hubby who is a fresh tomato addict isn’t a fan of the intensely flavorful sun-dried tomato. I prefer to add sun-dried tomatoes to salads, sandwiches, egg dishes like this omelette and any “cream” based dish. Sun-dried tomatoes are, as the name indicates, dried in the sun or by other artificial modern methods. The result is a chewy, intensely flavored, sweet, dark red tomato. Sun-dried tomatoes are usually either packed in oil or dry-packed in cellophane. The dry-packed type benefits from soaking in oil or other liquid before use. Sun-dried tomatoes add rich flavor to sauces, soups, sandwiches, salads and any dish that would benefit from a splash of flavor. Since I feel, in my humble culinary opinion, that sun-dried tomatoes don’t hold up well to long hours of cooking, simmering or the like, I like to toss them in right before serving. The tomatoes tend to keep their chewy, intense flavor that I love. In a small bowl, whisk together eggs, egg white, splash of milk/water and black pepper and set aside. In medium skillet, add 1 teaspoon oil over medium heat. Add mushrooms, spinach with sea salt and saute’ until golden brown. (about 5 minutes or so) Stirring occasionally. Remove from pan and cover to keep warm. Add remaining 1/2 teaspoon oil to pan and swirl to coat. Whisk eggs again briefly before adding to the pan. Pour in eggs and swirl around pan to coat evenly. Cover and let cook for 2 minutes then sprinkle or lightly spray with a couple drops of water, this helps moisten the omelette. Cover again and cook until almost set and cooked through (2 to 3 minutes) Add spinach, sun-dried tomatoes, goat cheese and half of the mushrooms on half of the omelette. Fold over and gently slide onto plate. Fold over the other h half on top of the filling. 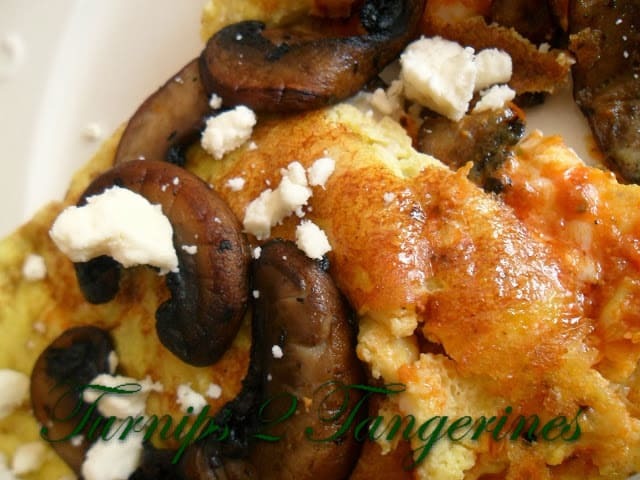 Garnish with remaining mushrooms and an additional sprinkle of goat cheese. Double Chocolate Espresso Cookies are delicious to serve after a meal featuring sun-dried tomatoes. Make this recipe using sun dried tomatoes Smoky Sun Dried Tomato Scones. Bella Sun Luci is a great brand of sun-dried tomatoes and sun-dried tomato products. Give me goat cheese and I'm happy, add sun dried tomatoes and eggs and I'm loving breakfast! Great pic! Great SRC pick! I am always looking for new breakfast ideas! I'm always looking for omelets that can be hearty enough for a vegetarian dinner for me, and this one fits the bill! Great pick!! Take out the mushrooms and I'd be all over this! That sounds delicious! Goat cheese and spinach are amazing together! A good choice to share – omelettes are such tasty, versatile quick meals. 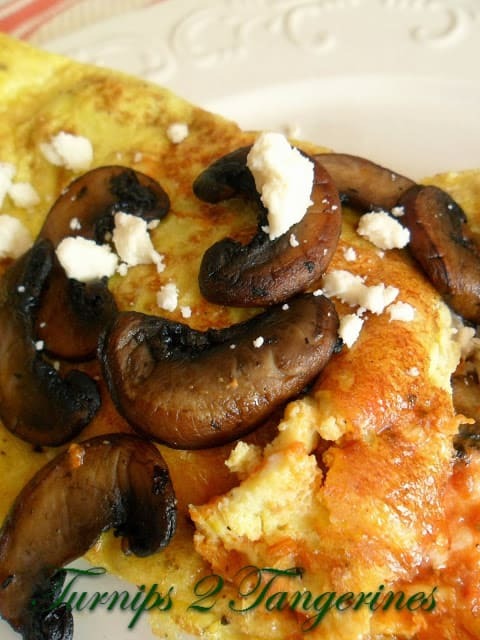 I love a good omelette and yours sounds just fantastic – great choice for SRC! Great combination of flavors! I have only recently tried goat cheese and this is the perfect excuse to get some more. 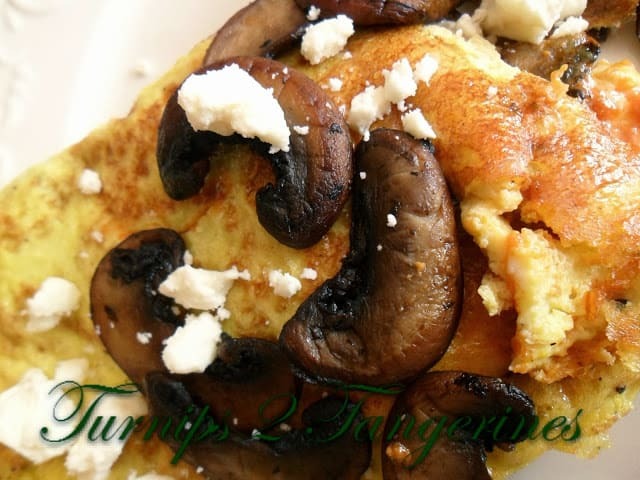 My son also loves mushrooms so this would make a great breakfast for us. YUM!! Your pictures turned out amazing! Great SRC pick this month! Thank you! Have a great Reveal Day!